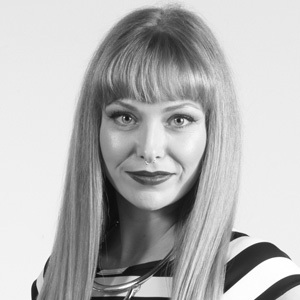 Lacey is one of Melbourne’s leading stylists and the official Events Coordinator, Fashion Stylist and Make-up Artist at Style with Cindy. She is also a facilitator at PSA. She assists Cindy with styling all her runways and coordinates back stage for these events. She is a fully qualified make-up-artist and it was after her graduation in 2009 that she developed a fierce passion for styling. Lacey spent a short time as a fashion editor at MYM magazine in Perth but realised her expertise lied in being at the forefront of the fashion industry which prompted her move into a career in personal styling. Lacey’s works closely with the millennial market and under 30’s as she endeavours to strip away the mainstream media expectations of fashion and help young people discover their own personal style. In addition to her role at Style with Cindy, Lacey has worked as an assistant stylist for VAMFF, MSFW and for the Vogue International Collections Runway for David Jones.Lacey describes her own personal style as edgy, eclectic, classic and experimental. She hopes to help her generation become more confident and unique in their own style journey.As a facilitator at PSA, Lacey will lean on her styling and runway experiences helping students understand the demands of the millennial customer, branding online and staying on-top of trends.Lacey Savell is a stylist to watch. apply fashion forward styling methods.